Note: In step 1, please check whether the correct Company ID and Mailing List ID have been entered in the form after the import. 1 We offer you to download our templates free of charge in return for your consent to receive our newsletter. 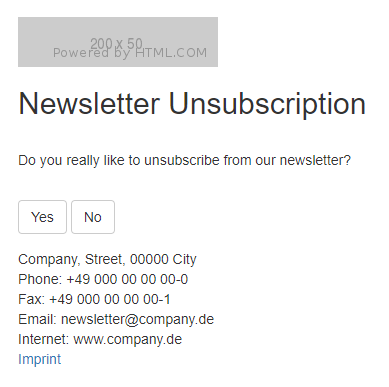 If you do not like the newsletter, you can unsubscribe at any time. 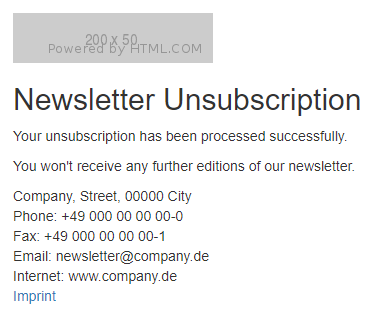 As we will send you personalized newsletters in the future, we need your name as well as your e-mail address. If you already receive our newsletter, nothing will change for you.